Ask the patient when he/she most experiences signs of Dermatitis, and what signs he/she experiences such as itching, rashes, changes in pigmentation or color of the skin as these may all help in the diagnosis of the condition. Obtain information about any medical condition the patient might have such as asthma and hay fever as well as information about any medication the patient takes as the patient may have developed an allergic reaction to a medication. Ask the patient or caregiver about where he/she most experiences signs of Dermatitis such as the hands and the duration and the time duration of these flare-ups. Assess for any signs of infection such as red and oozing blisters on the skin. Protect patient’s skin healthy from the possibility of maceration, which is the excessive hydration of the stratum corneum, when installing wet bandage since maceration on healthy skin can cause rupture of the skin and the expansion of the primary abnormality. Avoid the risk of thermal injury due to the use of warm compresses since the temperature is too high. Patients with dermatitis may experience a decrease in sensitivity to heat. Apply lotions and creams skin immediately after bathing since hydration is effective in preventing disruption of the stratum corneum layer of the skin barrier. Keep the nails always cut short. Cutting the nail will reduce skin damage due to scratching. Dietary changes can be done (after physician consultation). Some foods, such as milk, eggs and nuts, have been shown to trigger atopic dermatitis symptoms. 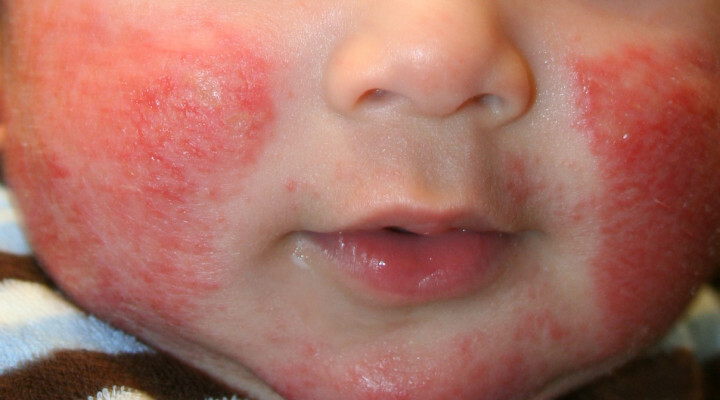 Emollients are often prescribed to treat atopic dermatitis; these are prescribed to help keep the skin moistened to prevent it from becoming irritated. 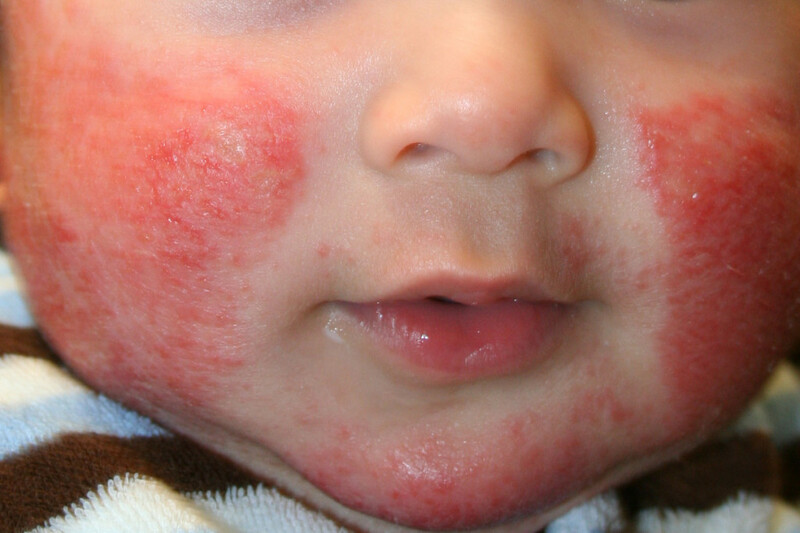 Different types of emollients may be prescribed depending on the type and how severe the dermatitis is. Compress Air with cold water in order to relieve the itching. Aspiration water from the gauze pack will gradually cooling the skin and relieve pruritus. Topical corticosteroids may be prescribed to help ease the symptoms if the skin is red and inflamed due to an atopic dermatitis flare. If corticosteroids need to be used on a regular basis due to continuous flare-ups, it is important that the nurse advices the patient to visit their GP regularly to make sure that the treatment is working effectively. Advice should be given to the patient on what to expect, if atopic dermatitis becomes infected, antibiotics are usually prescribed. Oral anti-biotics may be prescribed if a large amount of skin is affected. If only a small amount of skin is infected a topical anti-biotic is prescribed that is is applied directly to the infected skin. This entry was posted in Nursing Care Plan, Nursing Interventions and tagged atopic dermatitis, nursing interventions. Bookmark the permalink.